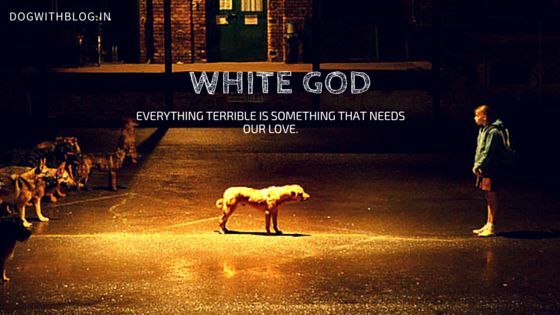 Movie Review White God : Rise of the Dogs! 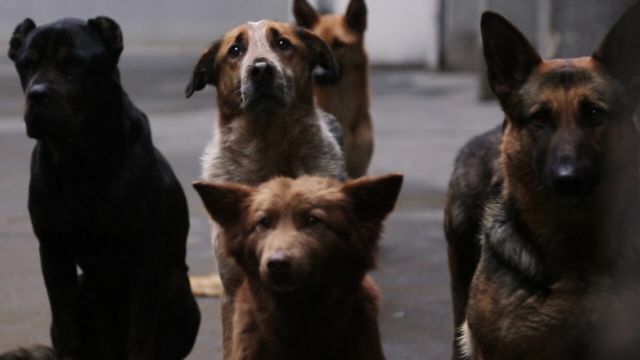 Kornél Mundruczó’s White God was on this dog’s watch list ever since it won the Palm Dog and Un Certain Regard awards at the 2014 Cannes Film Festival. And boy what a masterpiece this Hungarian movie is! White God is as much about a victim-turned-rebel as it is an allegory on the lines of Sam Fuller’s masterpiece ‘White Dog‘ where the protagonist was trained to attack the people of colour. White God delves deeper into the societal mix and speaks for ethnic groups, the minorities, and the settlers. Thirteen-year-old Lilly, a child of divorce has to move in with her father, she brings her beloved mutt Hagen along with her. When faced with a fee instituted by Budapest city for mixed-breed dogs, her father instead cruelly abandons Hagen on the street. 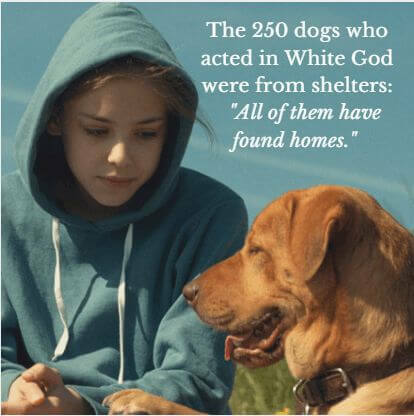 This is where you may think of the plot to be familiar to that of Disney movies – a lost dog finding his way home (or in this case, abandoned) but White God is anything but a return journey. It is a Tarantino tale of revenge and righteousness. The movie, from here on parallelly follows heartbroken Lilly who tries to find her dog, while Hagen learns to survive on the streets, trying to escape his greatest nemesis – human cruelty. Brutalized by dog catchers, he is forced to run on a treadmill, fed on behavior altering drugs and made to fight other dogs. As we follow Hagen’s journey from a beloved pet to a feral fighting machine and beyond, it doesn’t take a dog lover to root for his resurgence as a wronged hero with a no-holds-barred vengeance against the humans who made him so. The impressive POV camerawork captures how Hagen ceases to run away from his human tormentors and raises an army of fellow abused mutts. Together they take on the streets of Budapest in astonishingly choreographed scenes! Asher Goldschmidt’s orchestral score blends and breathes more life in this tale. All 250 of the dogs in “White God” are real; CGI was not used. The filmmakers assured that none of the dogs was harmed during the production.Furthermore, all the dogs have found home! The closing credits to the movie feature a heartwarming “thank you” section listing all the 250 dogs by name! White God isn’t an easy watch, not by a far chance, and yet it deserves to be watched! Posted on July 21, 2015 February 19, 2018 Author Abhishek JoshiCategories Dogged reviews! Previous Previous post: Can dogs count? Next Next post: Kerala No country for dogs?